Appeared on Code One Magazine the interesting photos in this post feature the L-2000, the Lockheed concept for US Federal Aviation Administration (FAA) Supersonic Transport, or SST, program. In June 1964, Lockheed was one of two competitors chosen to continue work on SST program. 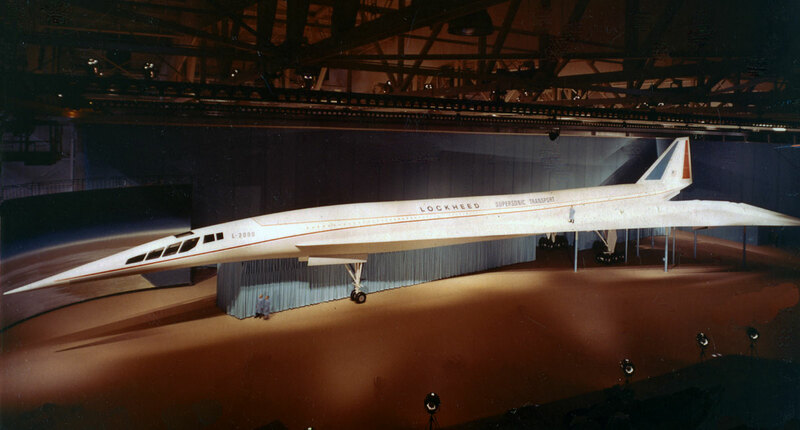 The Lockheed L-2000, shown in the first image as a wooden mockup, would have had a 4,000 mile range and Mach 3 cruise speeds. It featured a double delta wing design for swift transonic acceleration and excellent low-speed handling qualities. Lockheed proposed two versions, the L-2000-7A, an intercontinental model for up to 266 passengers and the slightly larger, 308-passenger L-2000-7B for domestic use. 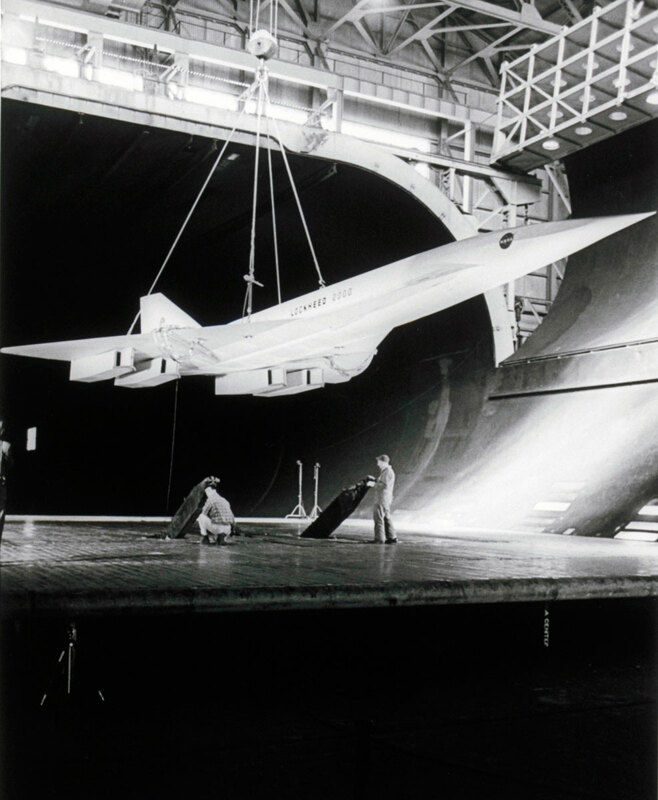 The second picture instead shows was taken in 1965 and shows technicians installing a large scale model of the Lockheed L-2000 design in the forty-by-eighty foot wind tunnel at the NASA Ames Research Center in Mountain View, California, for a ground plane test. In 1961, President John F. Kennedy committed the government to subsidizing 75% of the development of a commercial airliner to compete with the Anglo-French Concorde and the Soviet Tu-144 then under development. The director of FAA, Najeeb Halaby, elected to improve upon the Concorde’s design rather than compete head-to-head with it. The SST, which might have represented a significant advance over the Concorde, was intended to carry 250 passengers (a large number at the time, more than twice as many as Concorde), fly at Mach 2.7-3.0, and have a range of 4,000 mi (7,400 km). The program was launched on Jun. 5, 1963, and the FAA estimated that by 1990 there would be a market for 500 SSTs. Boeing, Lockheed, and North American officially responded. North American’s design was soon rejected, but the Boeing and Lockheed designs were selected for further study. Eventually the L-2000 lost out to the Boeing 2707. However a combination of environmental, economic, and political factors led to the cancellation of American SST program in 1971.